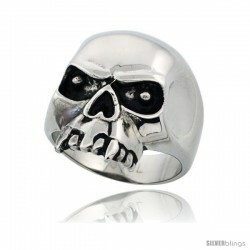 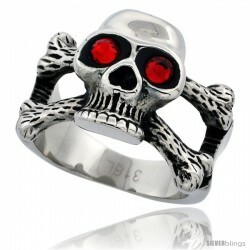 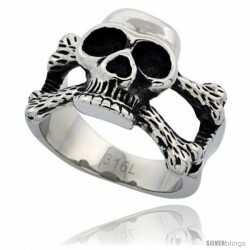 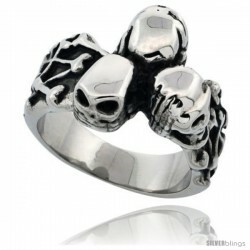 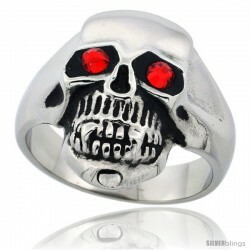 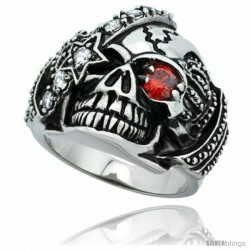 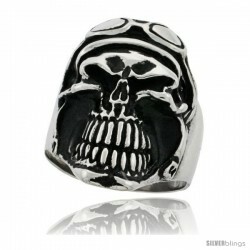 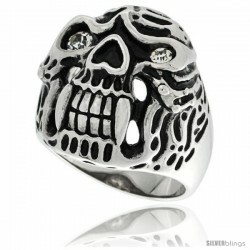 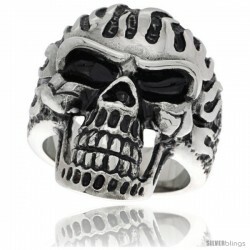 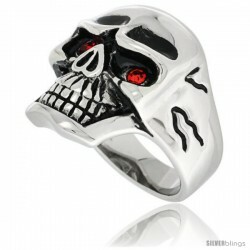 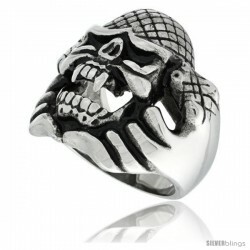 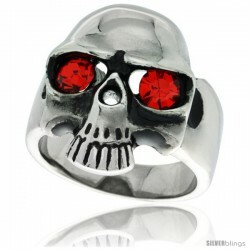 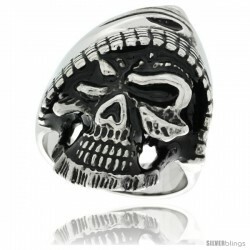 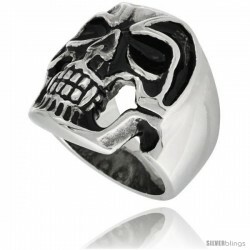 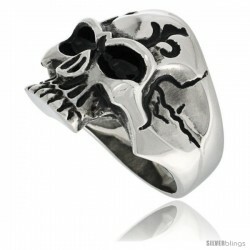 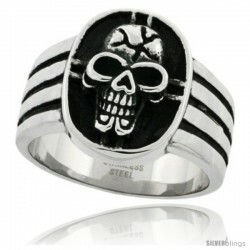 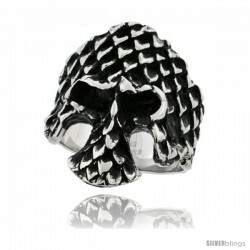 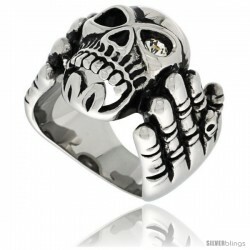 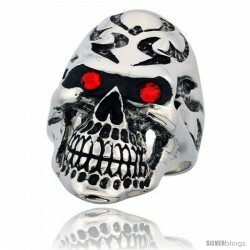 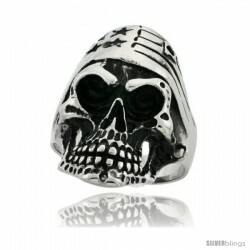 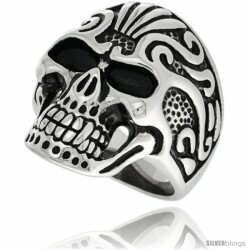 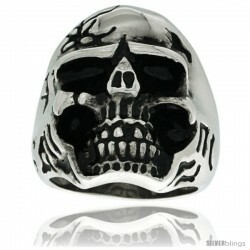 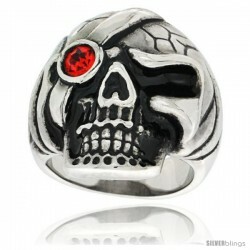 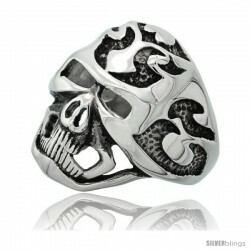 This simple yet authoritative Biker/Skull Ring made from Stainless Steel is impressive. 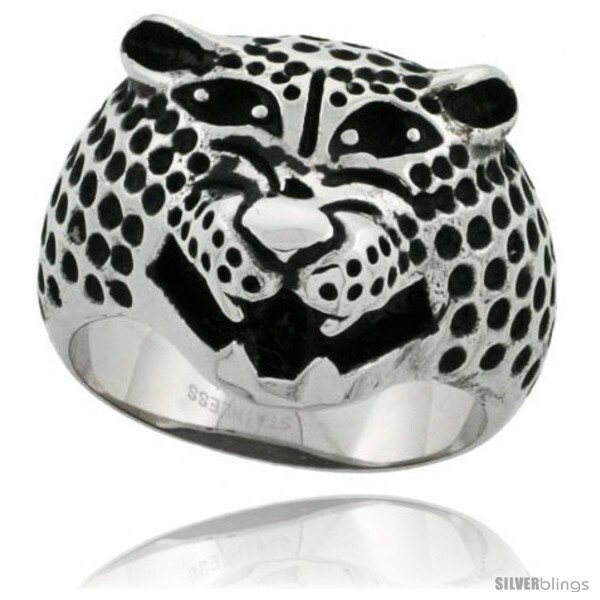 This Quality Stainless Steel Band is made of Low Nickel 316L Hypo Allergenic Surgical Steel, and is no different than the ones you can pay $60.00 to $200.00 for. 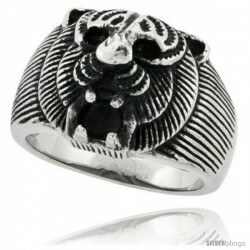 It is little less than 3/8" (9mm) Wide. 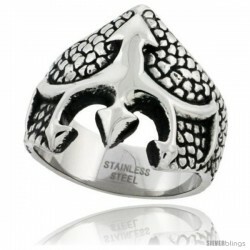 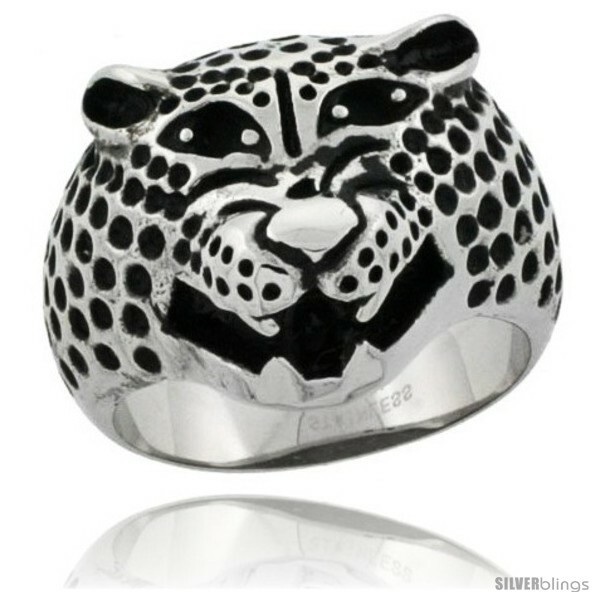 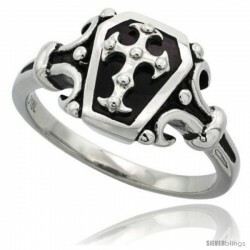 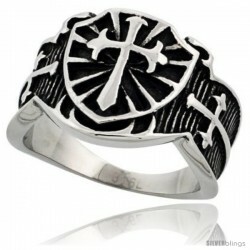 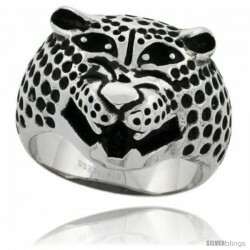 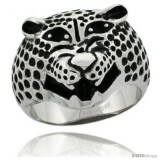 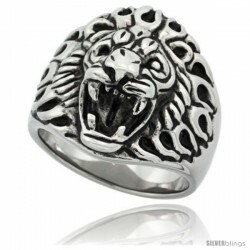 The center of the ring is polished finish to create a very nice look. 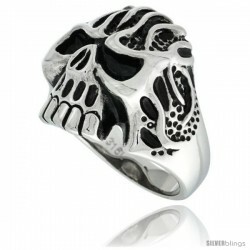 Sizes 10 to 15 are available.